Once our society set aside time for adolescents to grow from children to adults, to become accustomed to their expanding bodies and minds. Now the markers that defined passage—differences in dress, behavior, and responsibilities—have vanished. The institutions that guarded adolescence, such as family and schools, now expect "young adults” to deal with adult issues. Those trends leave teens no time to be teens. All Grown Up and No Place to Go spotlights the pressures on teenagers to grow up quickly. The resulting problems range from common alienation to self-destructive behavior. Quoting teenagers themselves, Elkind shows why adolescence is a time of "thinking in a new key,” and how young people need this time to get used to the social and emotional changes their new thinking brings. Many of his ideas, such as the "imaginary audience” that makes teens so self-conscious, have become seminal in adolescent psychology. Already there are more than 175,000 copies of All Grown Up and No Place to Go in print. In this thoroughly revised edition, Elkind also explores the "post-modern family” in which teenagers are growing up. He helps parents and those who work with youth and understand teens in crucial ways, because the root of so many adolescent frictions is the gap between what teenagers need and what our culture provides. In All Grown Up and No Place to Go, David Elkind talks about how today’s society is increasing the stressors put onto adolescents and decreasing support due to the view that adolescents are sophisticated and able to make adult decisions. Because of this, they also have no time or space to establish their own identities and create a moral code that will help them make decisions when adults. Elkind stresses that adolescents need to be supported and given limitations so that they do not engage in risky behavior and have time to establish their identities. Additionally, adults should lead by example and base rules on principles rather than emotions. In this way, we can help our adolescents reduce the stress in their lives and achieve an integrated identity. I think this book is more important than ever. 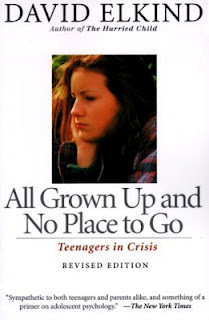 While the passages he uses are largely drawn from fiction (which I found strange) and are slightly outdated, I think that the concepts Elkind present are still relevant and the issue of adolescents facing tougher challenges with less support needs to be addressed both within schools and within the home. And this book gives great advice both for teachers and parents to help adolescents succeed in today's world. It's not too long and is a relatively fast read -- I do think some portions are unnecessary and can be skimmed, but the key to supporting adolescents is to understand where they're coming from and what they're dealing with. Although I think that there needs to be another updated version of this, what with the internet revolution, Elkind picks up on important ideas that can give adults a better sense of what it is to be a kid today. If you deal with adolescents on a regular basis in your job, or are the caregiver of adolescents, you should give this a read -- I found it to be incredibly helpful. Labels: 4 stars, Alyssa's Reviews, David Elkind, Education, Non-Fiction, Parenting, Psychology, Review, Westview Press Inc.
Joseph Conrad's classic novel about a man's lifelong efforts to atone for an act of instinctive cowardice set the style for a whole class of literature. 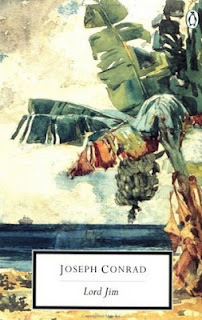 Lord Jim is a story about Jim, a guy who spends his entire life trying to make up for an act of cowardice on the sea. It's told through the perspective of Marlow, a man who meets Jim during his trial and who tries to help Jim get his life back together afterwards. I get that this novel is important, as it created a sort of genre within literature, but I could not get into this book. There were moments when I found myself engaged with what was going on, but for the most part, this book bored me. The language is beautiful, but I hated the way the book is structured. It's told in third-person, but narrated by Marlow. I think it would have been much easier to follow and so much more interesting of it was told in third-person from Jim's perspective, or just told in first-person by Marlow. I had a hard time relating to the characters (especially Jewel, Jim's romantic interest), and the story was only okay. Yes, this is a "classic" and I'm sure that if read carefully, you could find a great amount of symbolism, political commentary, blah, blah, blah. I just didn't find it interesting or enjoyable. I started reading this book for a book club, and I have to say, I struggled dearly. Each time I tried to read it, I quickly found myself frustrated with the characters and the narration. If it were not for the book club, I would have dropped this book into the, “maybe someday, because everyone else likes it, I will read it” pile. But because of this wonderful club that I joined, I ventured further into this “web of deceit, narcissism, and sociopath cat and mouse game,” that I really enjoyed in the end. As I stated before, the narration was, dare I say it, a nightmare. 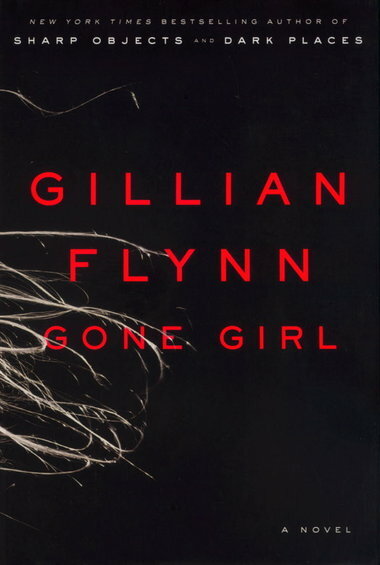 The author, Gillian Flynn alternates between the two main characters, Nick Dunne and his wife Amy. Nick’s story is told in the present but reflects quite a bit on the past and Amy’s story is told through a diary, alternating between different years based upon the theme, not chronologically. When Amy goes missing and Nick calls the police, I started to focus on the present-day clues, but the next chapter starts with Amy talking about when she married Nick. I had a hard time staying in the present, let alone focusing on the past. In the middle of the book, I started to become interested. The whole, “is he lying or is he telling the truth,” theme started to draw me in. The media massacred Nick and I wanted to throw the book at him. I felt sure, with his sappy narration and his wicked thoughts, that he had indeed, carried out his wife’s murder. I found the ending quite satisfying. 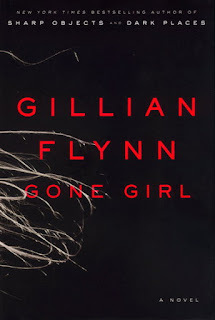 But because I had to endure the beginning of the book, I didn’t feel it was right to give Gone Girl a five star review. I can tell you this: I’m getting rid of this book. It’s definitely not one that I would read again. 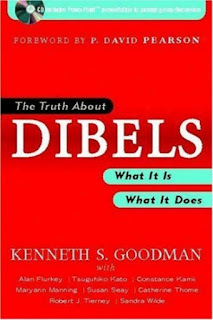 In "The Truth About DIBELS" you'll find out why teachers, administrators, and reading researchers nationwide are emphatically resisting the insidious influence of "DIBELS." Well-known education writers - including P. David Pearson, Robert Tierney, Sandra Wilde, and Maryann Manning - tell you how DIBELS hurts students and teachers and why impairs learning and teaching. They present chapters that: dispel the science and methodology that "support" DIBELS critique the validity of the information that DIBELS spits out demonstrate how DIBELS warps instructional planning to fit its limited measurements - and to fit the political ends of its creators and supporters expose the fiction behind its supposedly miraculous success rates. I think this is an important book for parents and educators to read -- DIBELS is an intervention program that is increasingly being used in schools, and Goodman gives a good overview of exactly what this test measures and the negative effects it can have on children who are learning to read. Basically, this test only measures fluency skills, not actual reading ability, and when children are being put into special programs based on that and then being taught to the test rather than being taught actual reading skills, it creates a lot of problems. This book provides a great basic overview of the test itself, but it's fairly biased as far as books go. I think that DIBELS can potentially catch poor readers who need to be put into intervention programs to "catch up," but I also don't think that it should be the only tool used in assessing student reading ability. Also, it's important that parents understand exactly what their children are being tested for and what those test results mean -- information which I don't think is made very clear. Again, this is just a resource for parents and educators to stay informed about the measures being used to test children and what effects those tests can have. I don't think that this volume is as strong as the previous two, but the stories Gaiman presents are still intriguing and present a different, strange view of the world. Mostly, I think my disengagement came from the fact that the stories in this volume don't heavily feature Morpheus, and they don't really fit into overarching story of the series. (Yes, the summary says that, but I missed that connection from the other two volumes.) Despite that, this is still an excellent read. If Gaiman can be counted on for anything, it's for presenting a surprising, twisted view of the world that will remain with you for weeks, months, even years to come. Unlike with a lot of other graphic novels I've read, there has yet to be a story in The Sandman that I don't like. While I enjoy some more than others, there is always something that captures my interest within every story. I think this is mainly because Gaiman unflinchingly delves into the demented and twisted while also showing the beautiful side of things. My favorite story from this collection is "A Midsummer's Night Dream" which manages to be funny, entertaining, and horrifying all at the same time. Shakespeare and his troupe perform the play for the fae themselves, with disastrous results for some members of the party. What I love about the stories from this volume is that with every one, I was put into a fantastical situation that seemed completely removed from reality, and I would think, "What an interesting idea!" And then, the further I got into the story and the more I thought about it, the more realistic it seemed. 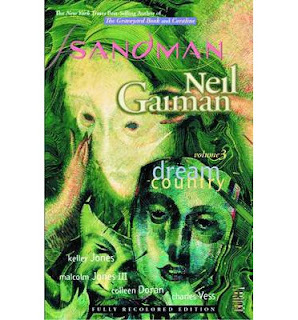 Despite the fantastical elements, Gaiman presents such clear, truthful representations of people that by the end of each story, I could imagine it all being based on true events. I love literature that can mess with my head like that and make me see the world from different perspectives. And really, Gaiman is the master at being able to mess with readers' heads. So far, I'm enjoying The Sandman, and if you are at all a fan of dark fantasy, I think you should check this out if you haven't already. In a society similar to ours in some ways and very different in others, 16-year-old Serena and her older sister, Willow, struggle to get by in a tough, crime-infested urban neighborhood. By birth they are half Yulang, half Gorgio, but are accepted by neither race. The sisters get no help from the Yulang, because Willow’s child was born out of wedlock and the family has been declared outcast. The Gorgios are even worse, trying to take the child away. A run-in with social services, aptly nicknamed the Cruelty, launches Serena on a journey that is at once an escape and a quest to reunite her family. With the help of a boy named Shem, who is on a quest of his own, Serena travels deep into the mountains, where precious gems are mined, and across barren plains, where white-clad Trident Riders are terrorizing anyone who is not Gorgio. Along the way, Serena finds the answers she seeks—and some she didn’t even know she was looking for. I can't believe this book isn't more popular than it is -- it's so good! I actually had a hard time deciding which genre it would fit into (in my opinion, always the sign of an interesting, complex story), but I think "alternate history" works best. 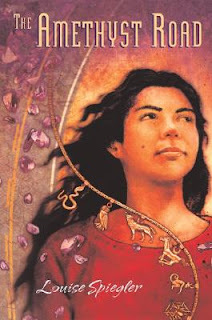 The book follows the story of Serena, a half-Yulang, half-Gorgio who has been declared outcast because her sister had a child out of wedlock. When that child is taken away by the bureaucratic-loving Gorgios, Serena attacks two people working with social services (an agency nicknamed the Cruelty) and has to escape when she believes she kills one of them. A boy named Shem offers to help her, and together they set off on a journey to get their lives going on the right path. I am a huge fan of coming-of-age stories, especially when they involve a headstrong girl who needs to learn when to use her temper and when to curb it in order to survive in the world. Through her journey, Serena learns that there are actually good people in the world who are willing to help those in need, and sometimes, situations aren't as black-and-white as she'd like them to be. The real strength of this book lies within the characters. They are so relatable, complex, and interesting. I liked that Spiegler didn't reveal everything about Shem in the beginning -- his motives for helping out Serena aren't fully revealed into rather late in the novel, and I appreciated the mystery his character represented. As always with coming-of-age novels (probably the main reason why I like them so much), the characters show a great amount of growth throughout the story. Also, the storytelling is fantastic. Nothing is cut-and-dry, there are plenty of surprises and twists to keep you flipping the pages and wanting more answers. I don't think The Amethyst Road has enough action to be considered a true adventure book, but I felt like that's exactly what I was reading. I had a hard time putting the book down once I picked it up, because the stakes were high and I needed to know that everything was going to turn out all right. There are some problems that I would expect from the first book of an author. Sometimes, we are told things instead of shown them, but they were really minor, especially compared to all the good stuff within this story. If you can find this, pick it up. It's so worth the read. I'm planning on reading Spiegler's other book, The Jewel and the Key, and I hope she writes more. Is everyone ready for the 50th anniversary? I am! And I love all the cool stuff coming out to celebrate Doctor Who's birthday. This collection of comics is one such thing, and while I love anything Doctor Who related, I wish this could have been better. Prisoners of Time, Vol. 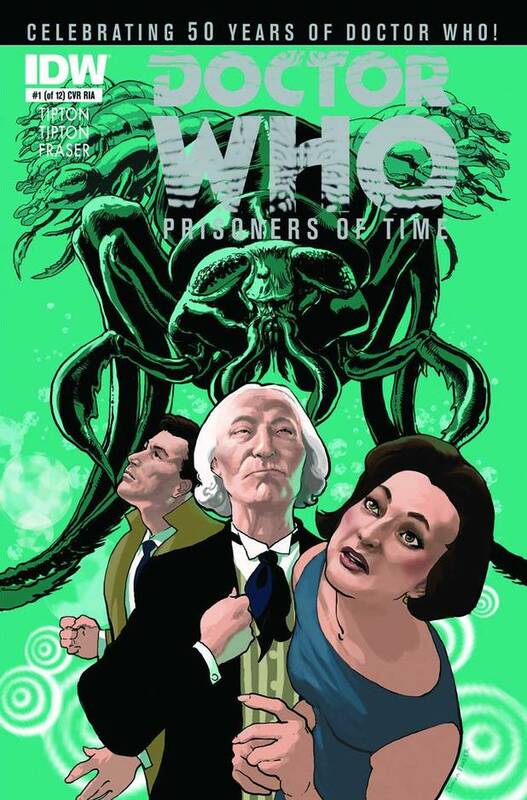 1 is a collection of 5 comic book stories featuring the first five incarnations of the Doctor getting into a scrap, getting out of it, and then having his companions disappear. Because I received this as an ARC, I've only read the first 3 Doctors' stories, so keep that in mind. In any case, it's an amazing premise, and I'm getting antsy waiting to read how it all ties together. However, in terms of story, I just wish there could have been more. The stories just didn't fit the page constraint, which made the resolutions feel rushed. Also, when it comes to comics, I expect some sort of important visual element that enhances the story -- something that makes it so that if it were told in another format, something would be lost. That didn't happen. The art isn't anything spectacular -- I think this story would have been just as good in a novel format (maybe better, given how rushed it all was as it is). Despite those things, I enjoyed the stories and I really enjoyed getting to spend more time with the first incarnations of the Doctor. Having watched some Classic Who, I thought that the writers did an excellent job in capturing their personalities and that of their companions. Some old monsters were also brought back, which is always a plus for us Classic Who fans. I'm interested to see how the story continues and how it wraps up. While I thought the first three stories fell a bit flat, the overall idea promises a spectacular resolution. Nothing consumed Henry VIII, England's wealthiest and most powerful king, more than his desire to produce a legitimate male heir and perpetuate the Tudor dynasty. To that end he married six wives, became the subject of the most notorious divorce case of the sixteenth century, and broke with the pope, all in an age of international competition and warfare, social unrest, and growing religious intolerance and discord. Henry fathered four children who survived childhood, each by a different mother. In The Children of Henry VIII, renowned Tudor historian John Guy tells their stories, returning to the archives and drawing on a vast array of contemporary records, personal letters, ambassadors' reports, and other eyewitness accounts, including the four children's own handwritten letters. Guy's compelling narrative illuminates their personalities, depicting siblings often scarred by jealously, mutual distrust, bitter rivalry, even hatred. Possessed of quick wits and strong wills, their characters were defined partly by the educations they received, and partly by events over which they had no control. Henry Fitzroy, Duke of Richmond, although recognized as the king's son, could never forget his illegitimacy. Edward would succeed his father, but died while still in his teens, desperately plotting to exclude his half-sisters from the throne, and utterly failing to do so. Mary's world was shattered by her mother Catherine of Aragon's divorce and her own unhappy marriage. Elizabeth was the most successful, but also the luckiest. Even so, she lived with the knowledge that her father had ordered her mother Anne Boleyn's execution, was often in fear of her own life, and could never marry the one man she truly loved. John Guy takes us behind the facade of politics and pageantry at the Tudor court, vividly capturing the greatest and most momentous family drama in all of English history. There is something so fascinatingly twisted about the Tudor family that I can't help myself when some new thing about them comes out. I don't care what it is: TV shows, films, books, whatever. I love reading about this crazy, messed-up family! So, of course, there's a lot information out there about Henry VIII and the Tudor family in general, so what is it that makes this unique and worth getting versus all the other stuff out there? Unlike many other books I've read about the Tudors, John Guy goes directly to the source and doesn't offer much speculation about relationships, actions, or whatever else that people like to speculate about. Because of that, I think there's a good overview of the family dynamics, which I don't think is explored very often. So, that was nice. The downside to this is that it gets a bit dry and there's A LOT of listing of presents the children received at Christmas, or just listing in general. I also felt like the ending was rushed and Elizabeth I's story wasn't fully explored, which was a bit disappointing for me, especially since a good amount of time was spent on her siblings. And I get that going over a long reign is much more complicated than going over her siblings' histories, but I would have liked a better summary of what she accomplished. Maybe in another book? In any case, don't get this if you're looking for some sort of dramatic story reminiscent of The Tudors TV show. 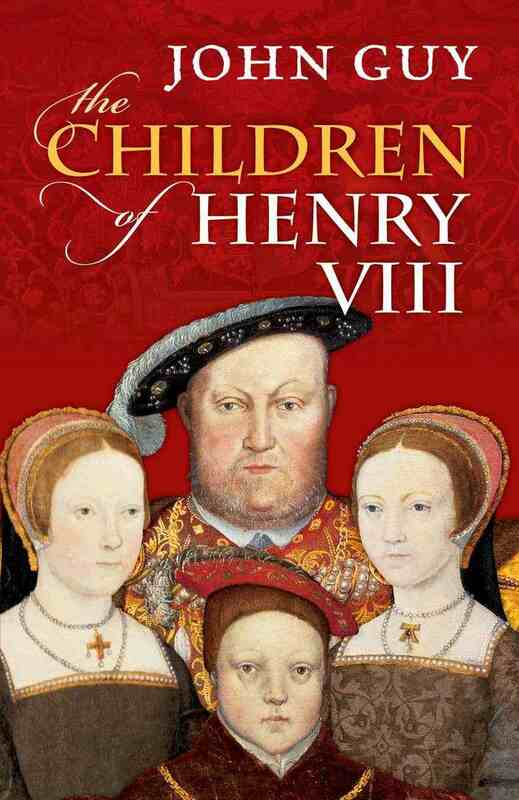 The Children of Henry VIII is very much based on historical documents. But the great thing about this particular royal family is that it's interesting without any dramatization. In 1955, the corpse of Eva Peron vanished from a Buenos Aires vault. With it went a key to a bank box filled with gold. Only one man knows where the body is hidden: disgraced former CIA agent, Michael Suslov, a witness to the night Evita's body disappeared. Sixteen years later, he agrees to retrieve the body, hoping the mission will grant him absolution for the terrible sins of his past. But, a pair of rogue CIA agents intervene, wanting Evita's treasure for themselves. What began as a recovery mission becomes a race for justice and the fight of Michael's life. 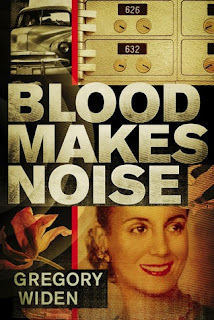 I was excited to get the opportunity to review Blood Makes Noise, because I had studied Evita Peron in school and have always been fascinated by her. I also love historical thrillers, so for me this was a golden opportunity. I must say, my excitement dwindled early on, because the first and second parts of the book are extremely wordy. The author over-writes many chapters and I found my mind wondering a lot. The third part of the book was fantastic, fast-paced, thrilling and just what I expected from the beginning. The beginning of the book takes place in 1947, where only two people bear witness to one of the most secretive acts of Evita Peron. 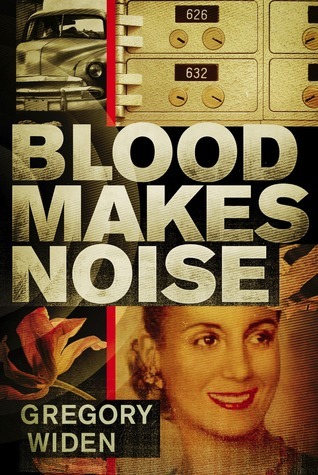 The first part of the book focuses on CIA agent Michael Suslov, the central character in Blood Makes Noise. The author goes into great detail to explain Suslov’s upbringing, and the tragedies that have plagued him. During Michael’s career in the CIA, he formed a bond with Argentine military intelligence officer, Hector Cabinillas. Hector only trusts Michael, so when he needs to move the preserved body of Evita Peron, he calls on Michael to do it. In 1956, another tragedy strikes Michael that becomes too much for him to bear. So begins his descent from grace, and ends with his reprimand and resignation from the CIA. Sixteen years later, Michael, being the only one who knows where the body of Evita is stored, is asked to bring her back to Buenos Aires. Using this opportunity to redeem himself, he races against rogue CIA agents to complete his mission. So this is where the book really gets interesting. The writing is fantastic. I felt like I was there. This book was written based upon historical facts. It’s up to each person’s interpretation as to whether the events are as depicted in this book. I must say, I have read a lot of books about Evita, and this book comes as close to the truth as I would perceive it. If the whole book was written with the same intensity as the third part titled “Her,” I definitely would have given it a five star review.